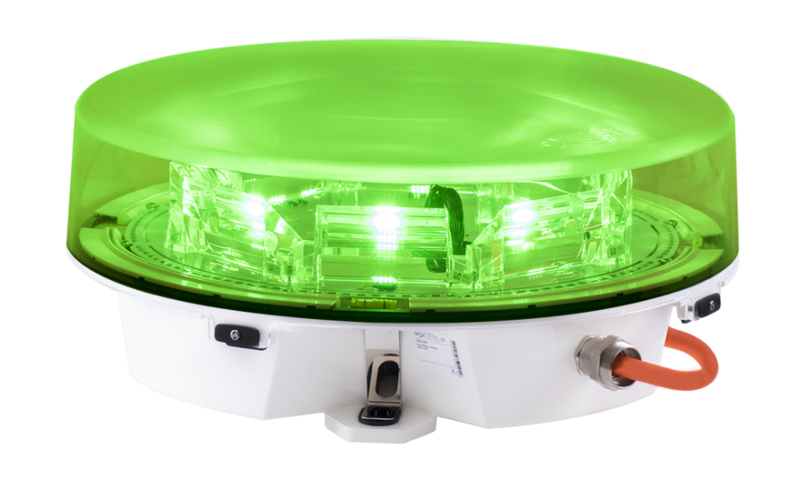 The L550-HHS/SRO lights combines the helicopter hoist light (HHS) and the Search and Rescue Operations light (SRO) in one fixture. A separate HHS or SRO light is also available. 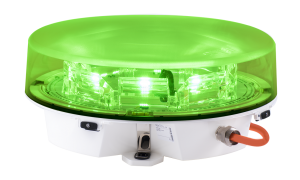 The light for helicopter hoist operation is a green status light, which is flashing or steady burning to indicate the hoist status. The SRO is a steady burning red light to indicate target turbines in emergency cases. The lights incorporate the benefits of advanced LED, optical and system control technologies to meet the most demanding applications.